During 2015, Cherish Creative proudly partnered with Strategy Monsters Marketing Service to produce the 2016 Evans Head Tourist Guide ~ ‘No More Secrets’. 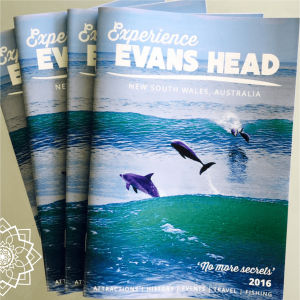 20,000 copies of the 60 page booklet, designed by Cherish Creative, were produced and distributed across New South Wales and into Queensland, Victoria and the ACT. 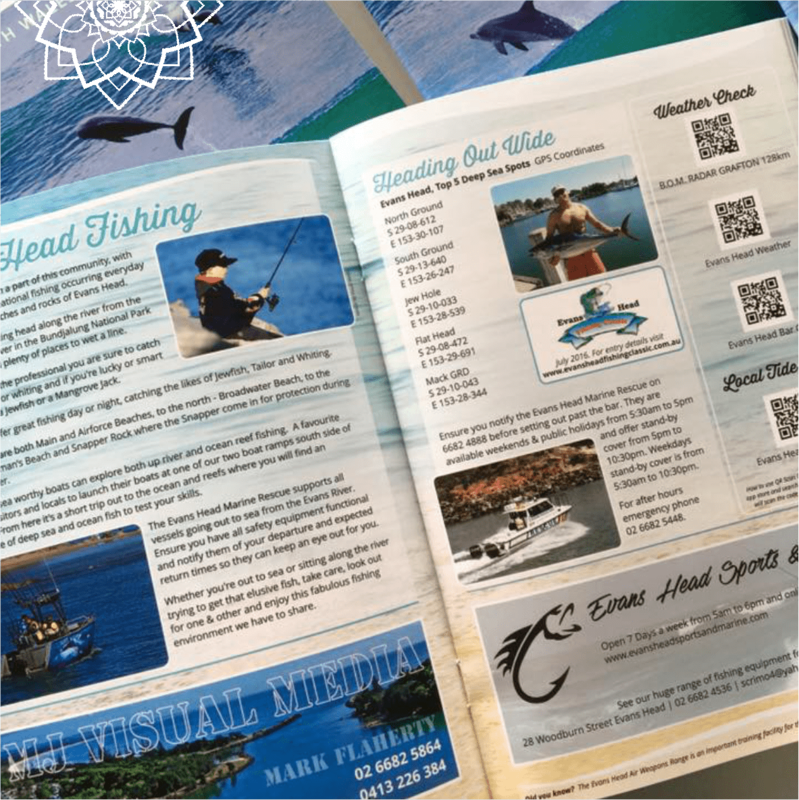 Peter from Strategy Monsters produced copy, content and coordinated the production, taking the project from ‘brainstorm’ to finished product. “It was a pleasure working with Beth from Cherish Creative who pulled together the ideas along with all the copy and images to create the booklet launched today”. 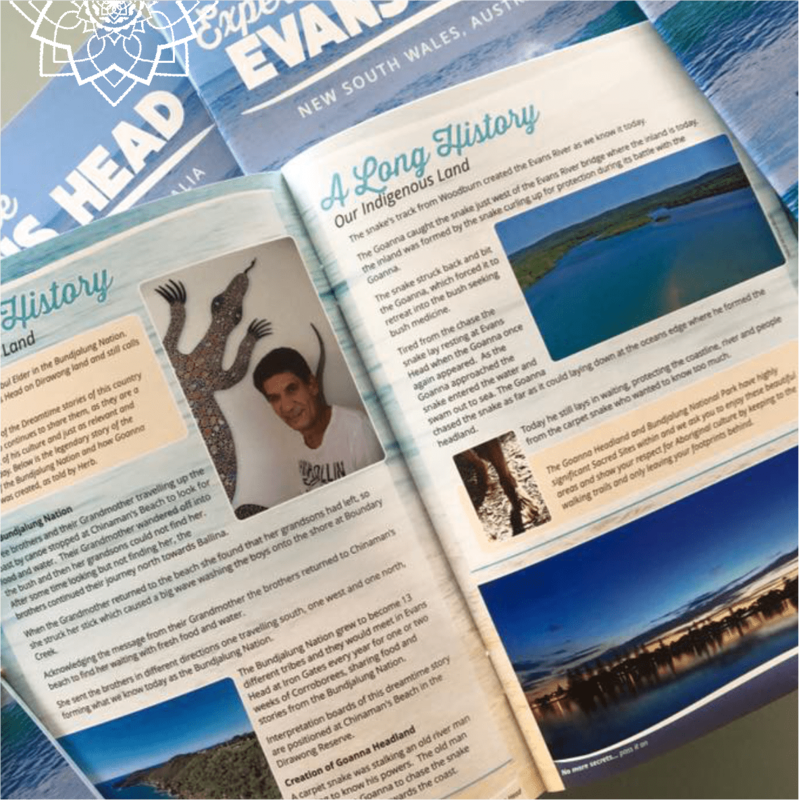 Thanks to this project, we hope to never hear ‪#‎EvansHead‬ referred to as the “best kept secret” again. 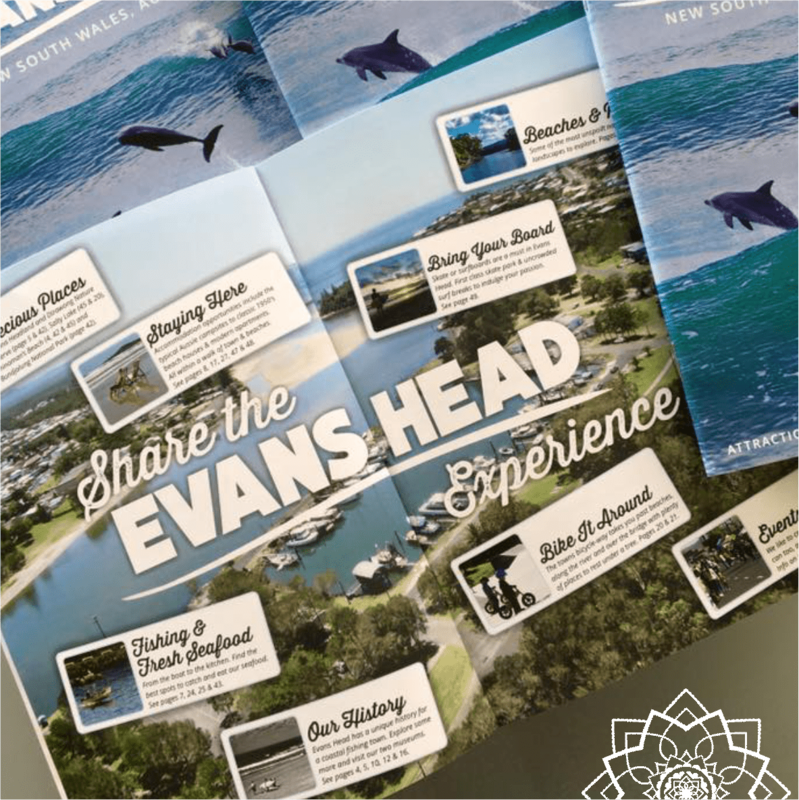 The Evans Head Business & Community Chamber launched the new guide on the 15th December 2015. NBN Television film crew was at the launch to help promote the coastal town of Evans Head. 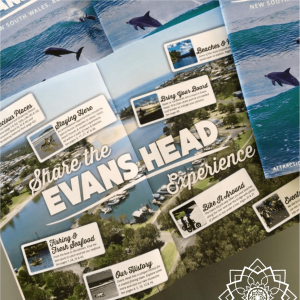 See the Evans Head Tourist Guide video segment here.